Shayda Campbell: Springtime Sangria for the Holiday Weekend! 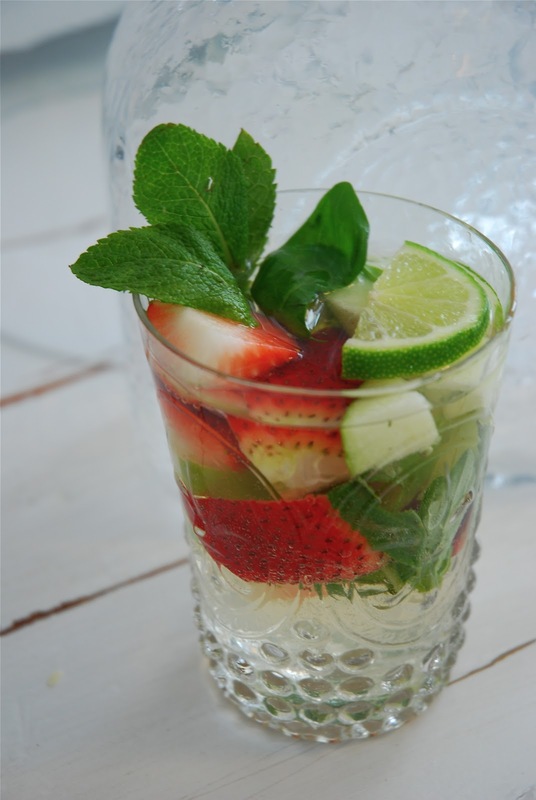 Springtime Sangria for the Holiday Weekend! Only one more day of work before the long weekend! I can't wait to have a few days all to myself to work on some projects around the house. I'll be finishing up some graphic artwork, the makings of a fun and easy little project that I'll share on the 11th apartment next week. And I'll also be making over a desk lamp from Canadian Tire; some grey spray paint and a bit of copper lamp wire and I'll hopefully have quite the stylish task light for beside our stove. Anyway, today I thought it would be nice to share one of my posts from last spring; my springtime sangria recipe! It's a bright and fruity drink that's perfect for the weekend. Serve it for lunch with friends and family, or get a bit tipsy at brunch with your housemates! To get the recipe and read the post from last April click here and you'll get there!